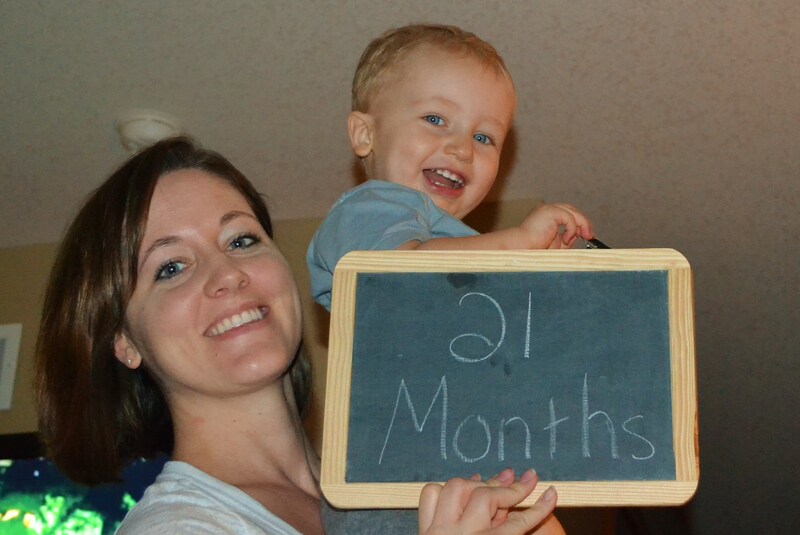 K man is 21 months! Stand by for a post on learning to manage my expectations…but in the meantime, I’m going to move past the perfect photo hopes and dreams and just share what we know and love about this ornery little blessing. K is a chatterbox! And so smart! He says tons of words, and will repeat anything. He’s starting to use sentences more and more. His favorites are “come here mommy/daddy!” and “K do it” and “X, where are you?”. He can count to 10…most of the time. 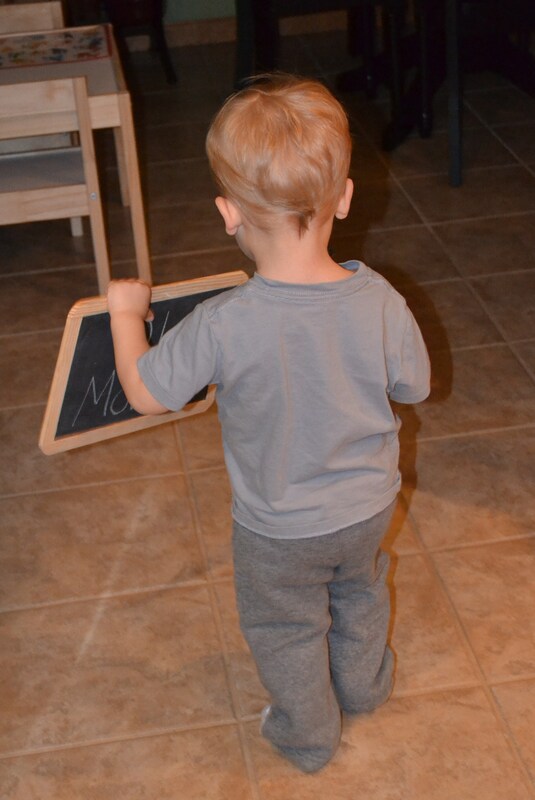 He is getting very close to nailing his ABCs! He also sings other songs like Deep and Wide, Row Your Boat, and Twinkle Twinkle. His eating hasn’t changed much, except that perhaps he’s becoming a bit more picky. Current favorites include raspberries, bananas, yogurt, pancakes, pudding, carrots and mac n cheese. 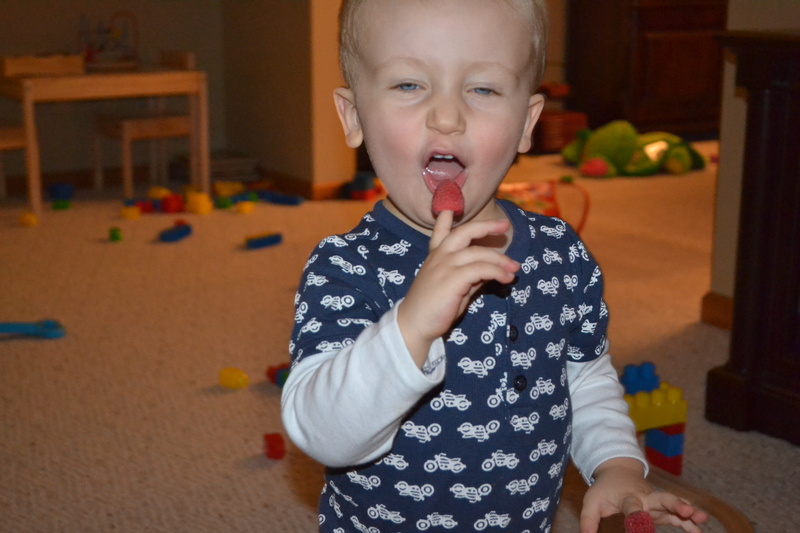 His favorite tv shows are still Mickey Mouse Clubhouse and Dinosaur Train. …As long as we also have a pile of books. K LOVES to read. His favorite stories are Little Engine that Could, Tickle Tree, and picture books with animals, colors, shapes, etc. 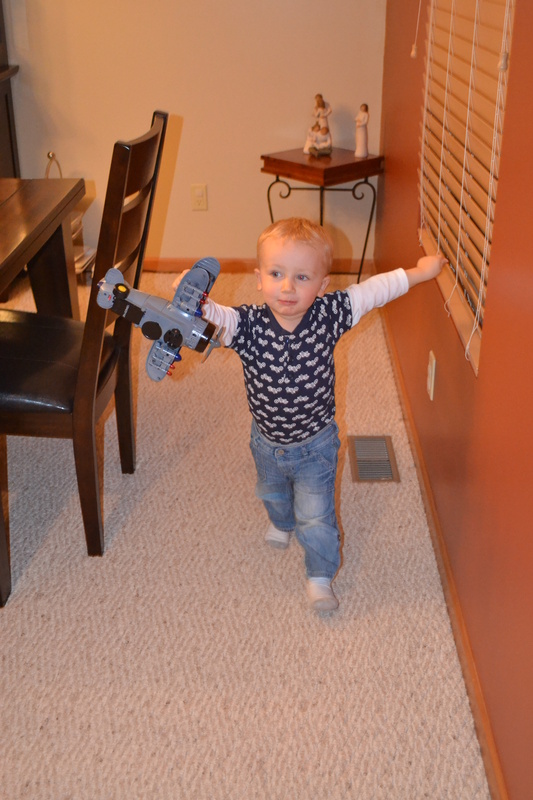 What has made this phase of toddlerhood so special is watching his personality really start to bloom. 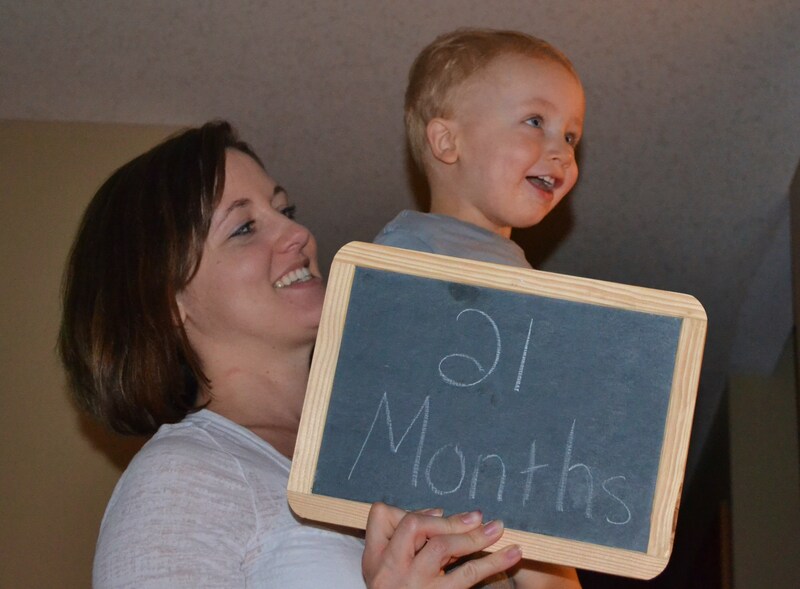 Sometimes that means he is more difficult, more stubborn…but he’s truly becoming his own little person. And that little person is something special. He’s got a great sense of humor. He loves hugs and kisses. He loves his mama and daddy. And we think we’re pretty lucky too. 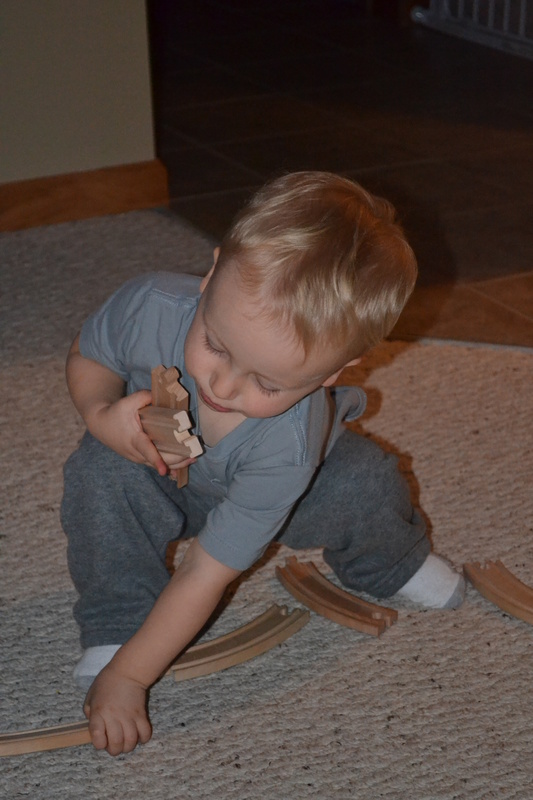 Too busy to cheese…but working on rearranging his “tracks!”.